Sepsis should be recognized as a separate cause of illness and death around the world. 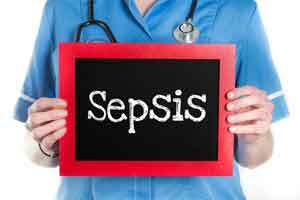 This focus would help efforts to prevent sepsis by improving hygiene, nutrition and vaccination rates and also lead to timely treatment, better outcomes and quality of life for people with sepsis, argue researchers in a commentary. Sepsis is life-threatening malfunction of an organ because of infection. It is associated with 25% to 30% of hospital deaths and increases to 40% to 50% in patients with complications and those in lower-income countries. Sepsis can result from infections due to many organisms, including bacteria, viruses and parasites. Malaria and infections in the respiratory and gastrointestinal systems are the most common causes. “Despite its burden, sepsis is not well recognized as a leading cause of death in its own right,” writes Dr. Niranjan Kissoon, a member of the Global Sepsis Alliance and a researcher at the University of British Columbia and British Columbia Children’s Hospital, Vancouver, BC, with coauthors. “Shifting the spotlight to sepsis as a distinct entity may set the stage for a robust response to this important global contributor to the burden of death and disease,” they conclude.